Calming the storm. Calming the storm - featuring the Tenth Doctor (David Tennant), here's a Doctor Who 壁纸 created 由 TheCountess. 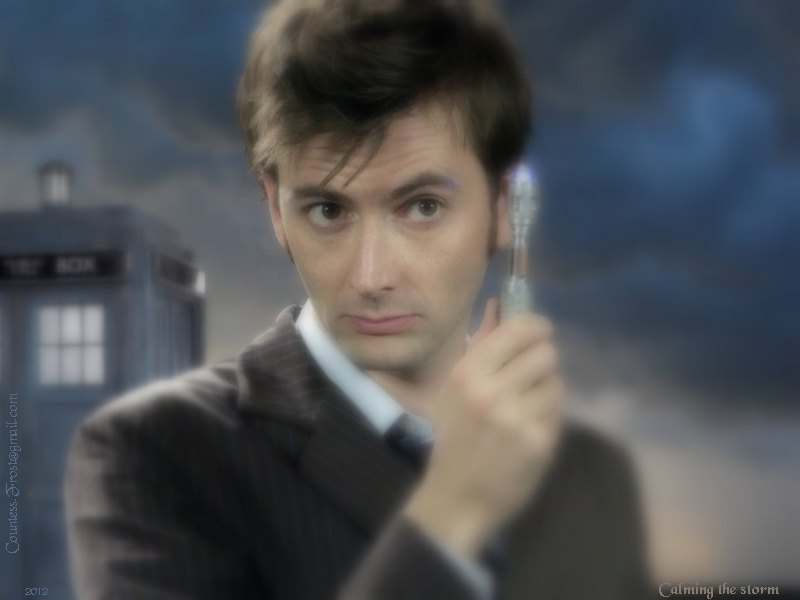 HD Wallpaper and background images in the 神秘博士 club tagged: doctor who tv show the tenth doctor david tennant time lord tardis sonic screwdriver fan art wallpaper thecountess. This 神秘博士 wallpaper might contain 商务套装, 西装, 精心打扮的人, 西装, 裤套装, 裤装, 穿着好衣服的人, 裤子套装, 穿得好的人, 套装, 肖像, 爆头, 特写镜头, 特写, and 爆头特写. 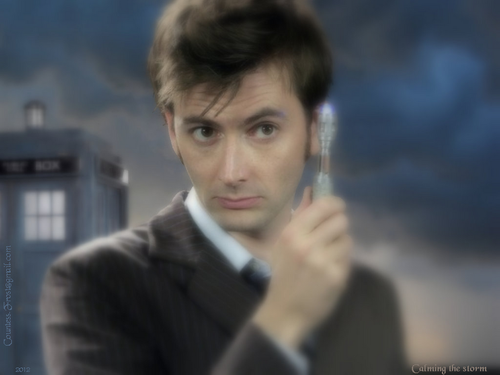 I didn't get to see many episodes with the Tenth Doctor, but I immediately liked him. I wish I could have seen David Tennant's entire run. I only get to watch it on PBS, and they can be a bit erratic with airing sometimes. Perhaps some day I'll be lucky enough to own the 'Doctor Who - The Complete David Tennant Years' DVD set.